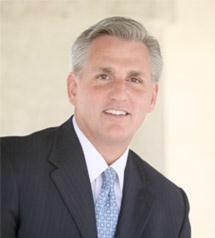 WASHINGTON D.C. – Congressman Kevin McCarthy on Thursday introduced H.R. 2661, the bipartisan “Veterans Access to Timely Medical Appointments Act” to hold the Department of Veterans’ Affairs (VA) accountable to improve medical appointment wait times and scheduling for veterans seeking medical care. This legislation would implement the non-partisan Government Accountability Office’s (GAO) recommendations, which are a result of an audit that McCarthy requested based on the persistent wait times that local veterans face at the VA Greater Los Angeles Healthcare System and VA medical facilities across the country. This legislation requires the VA to schedule primary care appointments within seven days and specialty care appointments within 14 days – goals used internally by VA supervisors and identified within the GAO report. Specifically, it addresses the GAO-identified factors contributing to unreliability of appointment wait times by mandating the VA improves its medical appointment scheduling policy within 180 days of the bill’s enactment. Joining McCarthy as original cosponsors of the bill are House Veterans Affairs Subcommittee on Oversight and Investigations Chairman Mike Coffman, House Armed Services Chairman Buck McKeon, House Oversight Committee Chairman Darrell Issa, Congressman Duncan Hunter, Congressman John Campbell, Congresswoman Susan Davis, and Congressman Ken Calvert. The bill implements the recommendations and addresses the issues identified in the GAO audit, Reliability of Reported Outpatient Medical Appointment Wait Times and Scheduling Oversight Need Improvement, on VA’s scheduling of medical appointments. Specifically, it addresses the GAO-identified factors contributing to unreliability of appointment wait times by mandating the VA improve their medical appointment scheduling policy within 180 days of the bill’s enactment. The bill requires the VA to schedule primary care appointments within seven days and specialty care appointments within 14 days – goals used internally by VA supervisors and identified within the GAO report. The legislation also addresses the allocation of scheduling resources to meet the demands of veterans, and to improve timely medical appointments by improving the VA’s telephone access and responsiveness. After receiving complaints from local veterans on the amount of time it takes the VA to schedule medical appointments, Congressman McCarthy led his colleagues in requesting that the GAO conduct an audit of the VA to ensure our veterans get the medical services they are entitled to in a timely manner. GAO found that the VA’s positive wait time reports are not what veterans actually experience. This is due to unreliable data input by VA employees, and the VA not requiring stricter adherence to scheduling policy and a lack of oversight on the scheduling process as a whole. Congressman McCarthy and House Committee on Veterans’ Affairs Chairman Jeff Miller sent a letter to the Secretary of Veterans Affairs, Eric Shinseki, calling on him to implement the GAO’s recommendations following the release of the audit. On March 14, 2013, Congressman McCarthy testified at a Veterans’ Affairs Committee hearing on the issues raised by the GAO audit. Click here to watch.